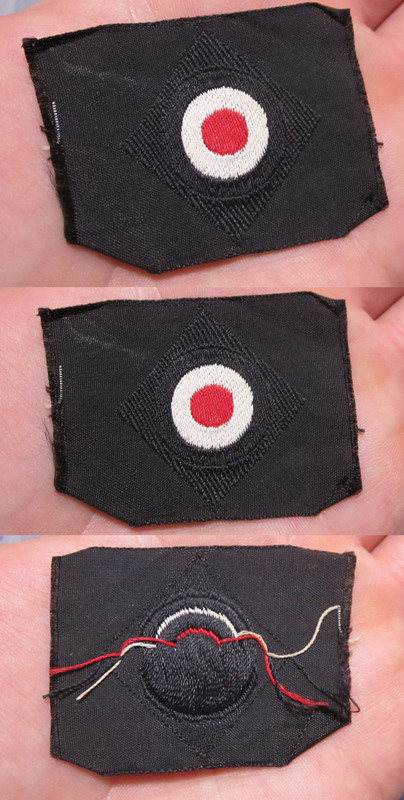 Here we have a machine embroidered red, white and black cotton cockade on a black rayon backing. It is in unissued condition! Extremely hard to find!